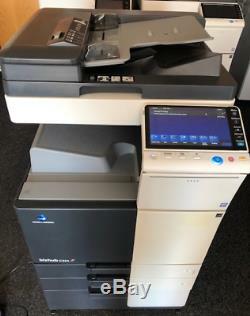 Konica Minolta bizhub C224 Full Colour Digital A4/A3 Photocopier/Print/Scan. Speed: 24 Pages per Minute - Colour and Black/White. Paper Capacity: 2 x 500 Sheet Paper Trays and 1 x 100 Sheets Bypass Tray. Copy/Print Size: Up to SRA3. This machine has been cleaned and tested and is in excellent condition with a low page count. Any questions - please ask... This is a'Collection in Person' ONLY item. 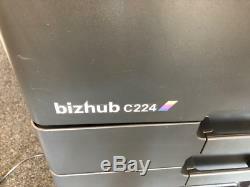 The item "Konica Minolta bizhub C224 Full Colour Digital A4/A3 Photocopier/Print/Scan" is in sale since Wednesday, April 3, 2019. This item is in the category "Business, Office & Industrial\Office Equipment & Supplies\Copiers & Copier Supplies\Copiers". The seller is "tonwals6" and is located in Chorley.